← We have a NEW VENUE for our monthly Stammtisch ! 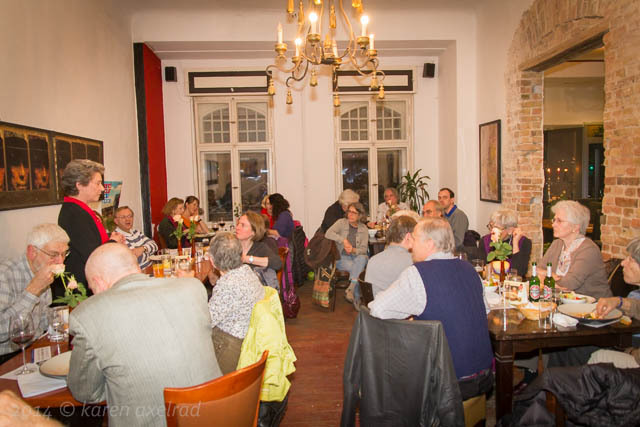 On the first Thursday of the month, April 3, 8:00 pm, the regular AVA Stammtisch was held – temporarily – at a different venue: at Café X-Zeit at Welserstr. 10-12. Special topic for the evening: the surveillance case of 1973 here in Berlin. Ann Wertheimer and several of the other plaintiffs presented the facts of the case. More photos here.